Investors at long last will be able to witness positive change in the governing of the United States. 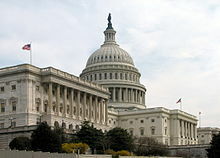 The elections of 2014 to be held in November, will see the Republican Party recapturing the Senate and maintaining control over the House of Representatives. The legislative lame duck session that follows, will witness the last gasp of a failed agenda and will begin the twilight of the Obama Presidency. Americans have at last come to realize that executive and business experience are valuable skills that need to be present, in any successful administration. The Era of Hope and Change will finally come to a merciful end, as national and world events spiral out of control. Since the United States still has the largest economy in the world, what happens to the American economy is of vital importance to the rest of the world. The fate of the United States Dollar as the reserve currency of international trade and finance matters enormously. Americans will finally need to acknowledge that there are limits to what is affordable. 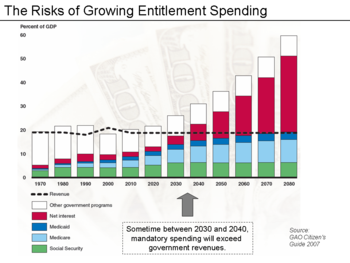 The time of ever expanding entitlements will need to be curtailed. The continuing stance of the Democratic Party that there can be no cuts in government spending, save defense will become nonsensical. The present challenges facing the United States abroad make further substantial cuts in defense spending highly unlikely. 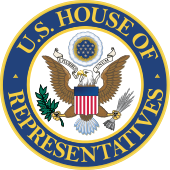 The new Republican Congress that will be inaugurated in January of 2015, will finally attempt to deal with out of control government spending. If they want any credibility, this new Congress cannot go back to the excessive spending that existed before 2007. This was the last time Republicans were the majority in both houses of the legislature. Government spending under the new Democratic majority inaugurated in 2007 exploded. Part of the spending can be attributed to the bailout of the banking system but social spending went up dramatically. Spending went from a low of $161 billion USD (United States Dollar) in 2007 to $459 billion USD in 2008. Then came the financial crisis of 2008 during the last year of the Bush Administration. What followed in 2009 began with a misguided $840 billion stimulus plan within weeks of the inauguration of President Barack Obama. 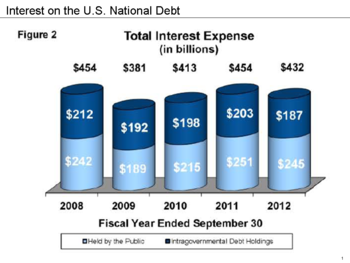 The deficit exploded to $1413 billion USD for that fiscal year. Deficits of $1294 billion USD and $1299 billion USD followed respectively in 2010 and 2011. It should be noted that Republicans regained control of the House of Representatives in 2011. Spending would then decline the following three years $1100 billion USD in 2012, $680 billion USD in 2013, and projected for 2014, $492 billion USD. Agreements on spending reductions would follow after bitter fights in the Congress and later with the President. A new Republican majority in Congress will provide impetus for further spending cuts in federal outlays. President Obama will likely veto them. As the proposals for reductions in federal spending fail to gain the approval of the President, it just will provide more propaganda for the Republican Party to suggest the need for a Republican president in 2017. There will be opportunities for agreement. The Keystone Pipeline is an example. With the Senate already lost to the Democrats in 2015 and no longer running for re-election himself, President Obama may be more inclined to approve this controversial project. That some remaining Democrat Senators and House members will support this initiative, should make passage easier. After all, the hold up at this point is mostly political. Another area of agreement may be the corporate tax rate. At 35% the United States has the highest rate in the developed world. President Obama claims he is in favor of a lower rate in exchange for the closing of tax loopholes. These ambiguities in the law allow some companies to pay much lower effective corporate rates. The business community will see soon if the President was serious about this issue, as they will about a number of other ones. Democratic Majority Leader Harry Reid has protected President Obama from taking positions that might prove detrimental to his already eroding popularity. 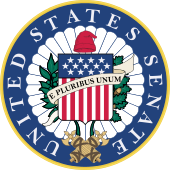 Senator Reid can simply not allow bills sent from the House of Representatives, to come to a vote. Over 350 bills many of them having some bipartisan vote, just simply sit on his desk and will not be acted on. When partisan reporters and politicians talk about the do nothing Congress they rarely bring up this point. Many of these proposed laws deal with health care, energy production and job creation. Once the balance of power changes hands in the Senate, President Obama will be forced to either work with the Congress or start a deluge of vetoes. The bills that have bipartisan support may become law regardless, as more Democratic legislators look to safeguard their own political futures. These will be achieved by Presidential overrides. If a number of them succeed the President will be forced to work with Congress on a number of issues. If gridlock continues, that is still better then passing more legislation that is harmful to business and sustained growth. For the more astute members of Congress there is recognition that economic growth made possible through more job growth, will make the hard choices facing the United States a bit easier. There will also need to be Congressional action on what is becoming the 4th branch of government. This is the government bureaucracy. These government agents who are unelected and largely unaccountable, must be reined in. The passing of endless new rules and mandates by this group are making it increasingly difficult for business creation and job growth. More and more company resources must be devoted towards additional paperwork and regulation compliance. It has become particularly onerous on smaller businesses. This is important because over 60% of new private-sector jobs come from these entities and nearly half of all private sector employment is attributed to them. Americans have been told repeatedly by the government there has been an economic recovery over the last 5 years. Yet 1 in 7 Americans a total of 46 million, are now relying on food programs to supplement their daily diet. This is in addition to the 47 million Americans on food stamps. Of course many of the individuals receiving food aid are also on food stamps. What is needed is jobs that pay wages that allow individuals and families to pay for the necessities of life. Many of the new jobs created over the past 5 years are part time and do not pay very well. Although it is true that all the jobs lost in 2007 through 2009 have now been recovered, the compensation for these jobs is lower. In 2007 the median household income was $55,438 USD. By the beginning of 2013 it had dropped to $51,404 USD. It is no wonder that Canada passed the United States as having the wealthiest middle class in 2014. Although median income is beginning to increase again in 2014, it is still over 6% below the level it was at the start of the recession in 2007. That equates to a total loss of $3,400 USD. What also needs to be considered is the population of the country had grown. The unemployment rate in August is 6.2%. That means 9.7 million people are out of work. Although the figure is not overly high it does not include underemployment, or those that have given up looking for a job. If you include these two additional categories the real rate is much higher. In January of 2014 the underemployment rate was at 18.6%. That meant that almost 1 in 5 workers were out of a job. 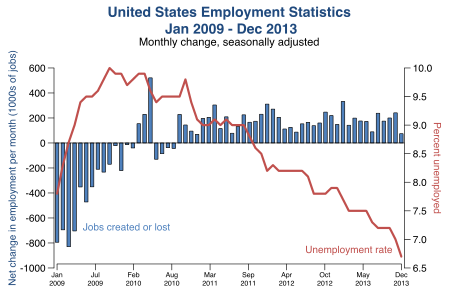 By July of this year the rate had dropped to 15.1% but that is still more than twice the official rate of unemployment. The labor participation rate is a better gauge of what is happening in the jobs market. By July 2014 the rate had declined to 62.9%. Rates of this sort have not been reported since 1978 when the United States was in difficult economic times. A comparison with the Bush Administration shows rates near or in excess of 66% through most of his time in office. The highest rate reported was 68.10% in July 1997 during the Clinton Administration. More than 2/3 of Americans feel the country is on the wrong track at present. This is actually an improvement. In October 2013 the number was at 80%. With the national debt at 17.681 trillion USD and liabilities in excess of 60 trillion USD, any rational person could identify that the country is on an unsustainable path. The national debt is at $55,474 USD per citizen. Nearly three times that rate per taxpayer at $151,787 USD. Total debt per citizen if one includes all government debt is at a whopping $193,251 USD which works out to $757,299 USD per family. The total amount is in excess of 61.5 trillion USD. It gets worse. Unfunded liabilities for the United States is approaching $118 trillion USD which is a liability above $1million USD per taxpayer. That is about 6 trillion above the total assets of the United States as a whole. A milestone that should of alarmed Americans was when the national debt grew larger than the Gross Domestic Product (GDP) which is now $16,789 trillion USD. The Gross Debt to GDP ratio is now over 105%. It is criminal for politicians to keep insisting that we can continue this kind of reckless spending. 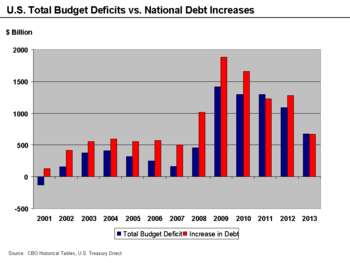 When President Obama was a candidate for president he called President Bush irresponsible for permitting the deficit spending to continue at the rate it was expanding. The hypocrisy of what followed is unbelievable if one looks at the debt that was to be accumulated under the Obama Administration. Obama added over $5 trillion USD in his first term alone. This was a 44% increase in the national debt. Many Americans instinctively know things are not going well. They recognize it is time for a course change in fiscal and monetary policy. As President Obama has stated, elections have consequences. The massive spending of the last few years will limit budgetary choices in the years ahead, regardless of which party wins the majority. It will now become difficult to justify additional spending for any new social programs in the future. In fact the signature program of the Obama Administration the Affordable Care Act, will fail in the end. One can debate the merits of offering national health insurance. What will be more difficult is the justification of the eventual cost for the program. Especially when so few Americans will benefit from the program for numerous reasons. It is simply unaffordable in the present configuration. Reform or repeal of this program will be likely in early 2017. The law today is quite different from the original design regardless. The declining popularity of the Health Act in practice, will assist in the cancellation of much of it. Participants are discovering that having insurance does not necessarily mean better health care. It also is not saving consumers money as promised, but quite the opposite. What makes it exist at all, is the large government subsidies for the insurance premiums, that are simply not going to be sustainable in the long run. Another aspect of the Affordable Care Act is that it has the perverse effect of sacrificing jobs and total hours worked. This is the result of the law making a company responsible for health insurance coverage based on the number of employees who are working full time. It has in reality led to fewer full time jobs. Under a new Republican majority it is unlikely that any more policies will be enacted, that will be detrimental towards business creation and expansion. The only way that the United States can even attempt to deal with the run away debt and expenditures is to grow the economy. This can only be achieved by adding jobs at a rate that will allow the economy to double the present pace of growth. This will only be possible, if the government begins to promote polices that provides impetus for job development and expansion. As Vice President Biden admitted recently, the objectives of Hope and Change were never really achieved anyway. It is way past time for the citizenry of the United States to face reality. So how do you think this will affect the predictions made earlier in this blog, of a significant US market crash in September 2015? Thanks. A change in the direction of government will not delete a business cycle nor deflate a bubble. The current Stock Market highs are largely the result of policies of easy money provided by the Federal Reserve. Quantitative easing and the actual printing of money have led to excessive liquidity. Historically low interest rates have also fueled massive investment in the stock market. It is one on the few places one can earn a decent rate of return. However, you might also have observed that the actual volume is quite low. There are more institutional investors now. Even wealthy individuals who are the ones who have mostly benefited are exiting the market in many cases. A bubble in the Stock Market has been created as a result of easy money and the lack of other investment options. The only solution to this problem is a major market correction. In the end it is unavoidable, regardless of government action. The Federal Reserve is already pulling back the purchasing of mortgage backed securities and treasuries in order to stave off a collapse of the currency.